The always hungry college football food chain has struck Wyoming once again. Kansas State today announced the hiring of Wyoming defensive coordinator to the same position for the Wildcats. Hazelton who was named Wyoming’s defensive coordinator on January 10th, 2016 after the firing of Steve Stanard had a very productive two years in charge of the Wyoming defense. In terms of points per game, the Cowboys ranked 1st in the Mountain West and 9th in the country in 2017 at 17.5 points per game and 2nd in the Mountain West and 28th in the country in 2018 with 22.0 points per game. Hazelton who was making $400,000 per year at Wyoming will reportedly make a base salary of $550,000 in Manhattan. This is a big move for Hazelton and you can’t fault him for leaving. He is moving from a group of five school, to a power five school in a high profile conference the Big XII. If he can figure out how to slow down teams from scoring in the touchdown happy Big XII, there is no ceiling to where he could end up as a football coach. I honestly think, Hazelton was pretty comfortable in his role as Wyoming defensive coordinator and I honestly think there were very few jobs he would have considered leaving Wyoming for but the perfect storm happened. If you want to put the blame on somebody for Wyoming losing Hazelton, you can look no further than the John Elway and the Denver Broncos. You see, Kansas State hired North Dakota State’s Chris Kleiman as their new head coach last December. At that time there was much talk that Hazelton would join Kleiman’s staff then as both run similar defensive systems having both coached together under Craig Bohl at NDSU. Kleiman initially hired experienced college and NFL coach Ted Monachino to be the defensive coordinator and it was thought that Wyoming dodged a bullet but then John Elway set off a string of events (involving coaches with Wyoming connections) that reverberated from Laramie to Chicago. Elway fired Broncos head coach Vance Joseph (who was once hired as Wyoming’s defensive backs coach but never coached a game). Elway then replaced Joseph with Chicago Bears defensive coordinator Vic Fangio. The Bears replaced Vic Fangio with former Colts head coach Chuck Pagano (who played DB for Wyoming from 1979-1982). 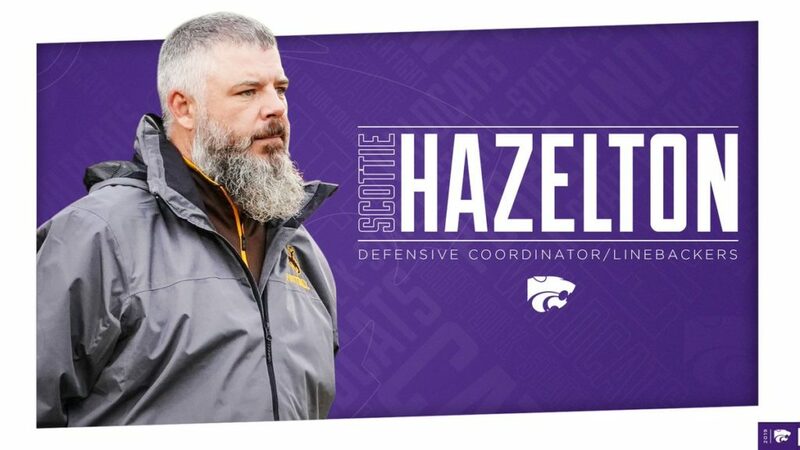 Bears hire Ted Monachino from K-State even though he was just named their defensive coordinator opening up a spot for Hazelton on Kleiman’s staff. Now the question is, in what direction does Craig Bohl go with a new defensive coordinator hire? In the past, Bohl has pretty much hired from a pool of coaches he worked with during his time at North Dakota State. At this point in time though that pool is pretty shallow and he has stepped out of this pattern with the hiring of Klayton Adams from the University of Colorado as the new offensive line coach taking over for the departed Scott Fuchs. Two names to keep an eye on who worked under Bohl as defensive coordinators at NDSU are Jimmy Burrow the current defensive coordinator for the Ohio Bobcats and Willy Max Garza a linebackers coach at Prarie View A&M. A) A name out of left field with no direct connection to Bohl, as there are many qualified up and coming coaches across the landscape and Bohl now seems willing to hire people he has never directly worked with before. B) An already in house promotion, if Bohl sees keeping the highest level of continuity possible as his best path forward of keeping the defense strong. Losing Hazelton puts the Wyoming football program in a precarious position. The defense has carried the team the last two seasons and any step backward by the defense could see the program flounder with the offense currently struggling to find a formula to score points. The past two seasons Wyoming has only scored 22.8 and 20.7 points per game. If the defense takes a step back and starts giving up let’s say 28 points per game, without a major improvement in the offense in terms of scoring wins will be hard to come by. This might be the most important assistant coach hire Bohl has had to make in his time as the head coach of the Cowboys. Now we will wait and see what name Craig Bohl can pull out of his coaching Rolodex to keep the Wyoming defense on track.